I am replying to the letter from Labour city councillors Beverley Hazell and Mary Clarkson, Scout hut work brings benefits (Oxford Mail, May 23), about the refurbishment of the Scout hut in William Street, Oxford, into a community hall for the people of Marston to use. The photograph published was taken last September. I was asked to arrange a new photograph, but had little time to round up the interested parties. As regards some of them being my family, surely they are still classed as part of Marston's community? The Labour councillors say that letters were sent to all homes in Marston last autumn, asking people to get involved with running the hall. If letters were sent, no-one who lives in this area could show me a copy or recall even getting one. The only notice we had was on an A4 piece of paper placed in the chemist's window, offering wine and nibbles at the grand opening of the new community hall on October 10. I attended this evening and at no time was I asked for any help in running this hall. In fact, I was called a 'stirrer' and felt very unwelcome. Marston has lost a lot of opportunities by not being properly represented for years. If this is stirring, so be it . . . I would like to thank all the people who voted for me in the Marston and Old Marston ward in the Oxford City Council election. I stood as an Independent candidate and polled 457 votes. Unfortunately I did not win. I came third behind the Labour Party and the Liberal Democrats, but I was in front of the Conservative and Green parties. I shall continue to fight for issues in this area for the coming year. A community has voiced concerns over access to an Oxford Scout Hut that was given more than £100,000 in public money for improvements. The 10th Oxford Scout group was given £120,000 in April last year to make improvements to its hut on the corner of Marston Road and William Street. 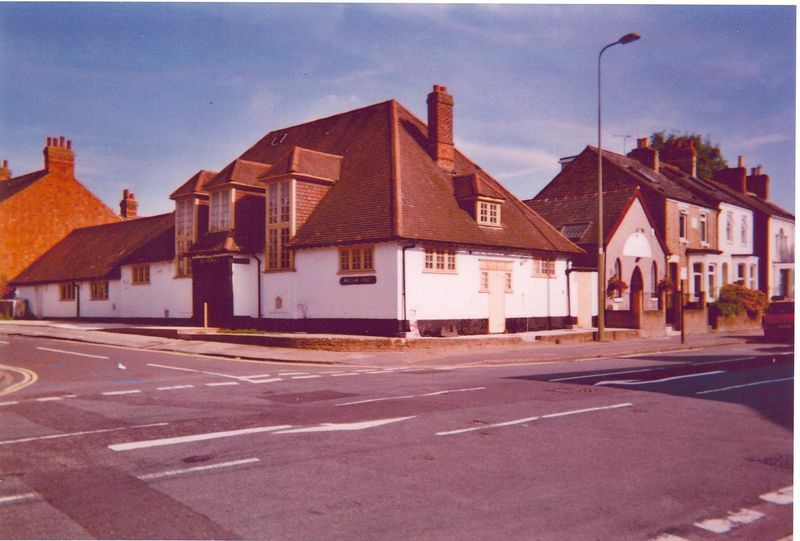 At the time an agreement was reached between the Scouts and the New Marston South Residents' Association to allow community use of the building. 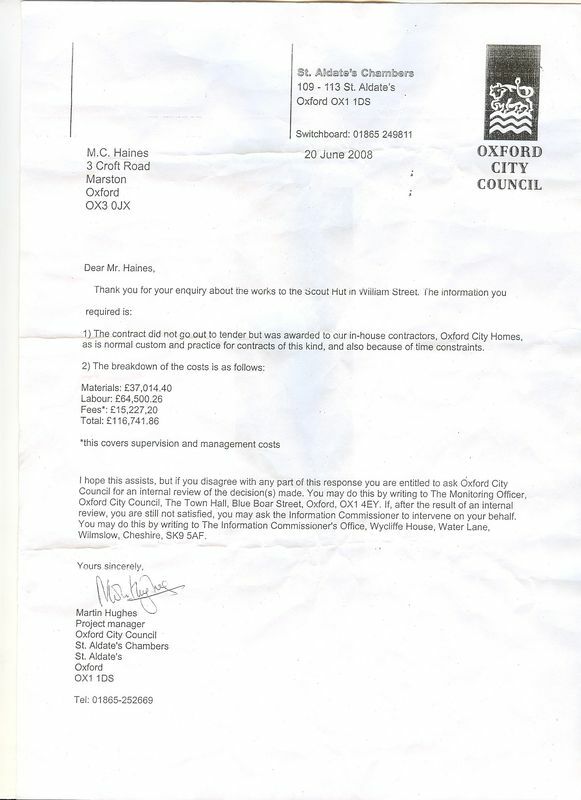 But Croft Road resident Mick Haines claimed the money had been wasted as members of the community had not been able to access the centre. Mr Haines said: "The money for the development of that Scout Hut came from the money given to the area by Magdalen College when it sold off land for the Islamic Centre in Marston Road. "The money was intended to replace amenities lost by that development, but I feel it has been spent in the wrong area, as no-one in the community is benefiting from it. "People have been wondering when they will be able to take advantage of the site, but no one seems to know what's going on. "I feel the money could have been better spent putting lights into the Street Sports site in Croft Road Park or improving the lighting on the cycle path in the park." Marston Road resident Nicola Bowers, 32, said: "A few of us have wondered about the site as we think it will be great for the community to use." It was always agreed the Scouts would have priority use of the site when the funding was agreed. New Marston South Residents' Association chairman Roy Darke admitted it had taken time to get community access to the site organised. He said: "We have now set up a company, the New Marston Scout Hall Management Company, which will be holding its first meeting next week. "Getting charitable status and community status takes time and our vision is that we will eventually set up a community association to manage the access. "There are already things like tai chi classes and pre-school groups using the hall. "I also think Mick Haines has a political axe to grind on this matter, as he wanted the money spent in Croft Road." Mr Darke said there would soon be a notice board outside the hall with information on community events and booking. This is the costs of materials and labour for refurbishment for Scout Hut on Williams Street in Marston.